Perfect for the growing family this exceptionally well presented, extremely spacious, executive detached family home is situated in a secluded location offering privacy but within easy access to local amenities and excellent transport links. The property benefits from five reception rooms and four double bedrooms all with contemporary, luxury en-suites. 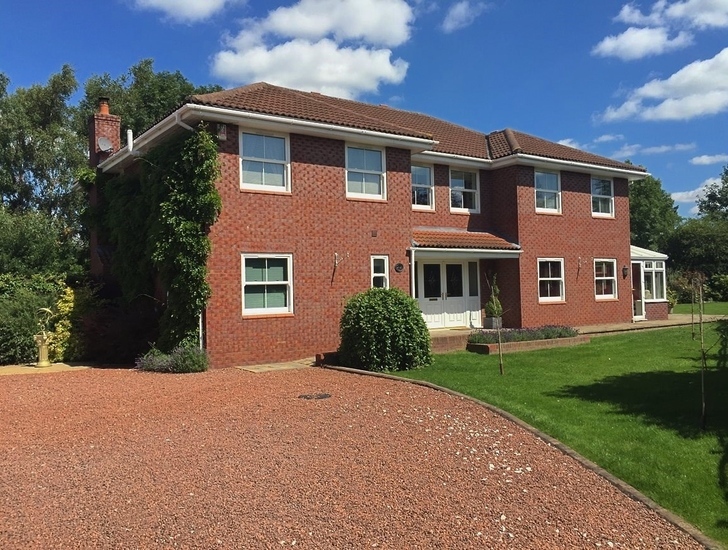 The versatile ground floor accommodation comprises, impressive reception hall, cloakroom/wc, elegant lounge, separate dining room, family room, stunning family-sized kitchen with integrated appliances, conservatory and versatile study/snug/playroom/gym. The central staircase rises to a galleried landing leading to the four double bedrooms, the master and second bedroom with dressing areas, two en-suite bathrooms, guest bedrooms with two en-suite shower rooms. The property also boasts private, well-crafted gardens with summer house, an open rear aspect over local countryside, double detached brick garage and extensive parking with turning space. The property also benefits from gas central heating and security alarm. 4 The Paddocks is situated on the outskirts of the market town of Ripley providing easy access to the local countryside and is only a short drive from the beautiful Peak District National Park. Ripley with its extensive variety of shops and restaurants, supermarket, chemist, doctor's surgery and a cottage hospital provides local conveniences that are all close by. Located at the intersection of the A38 and A61, Ripley is just a short drive from the M1 motorway providing easy access to all major towns in the area with East Midlands airport being approximately 25 minutes' drive away. Viewing is highly recommended to appreciate the size and quality of this beautifully presented family-sized home which is a credit to its current owners. The property is accessed via wide paved pathway being the full-width of the property and leading to the front of the house. All rooms are equipped with TV points and all rooms also have telephone/ethernet points with the exception of conservatory. Having two UPVC double glazed sash windows to the rear elevation, central heating radiator, fitted carpets, nine dimming ceiling downlighters this room has a door to the hall and double doors opening to the Family room allowing the accommodation to flow through one room to another. Also benefitting from double aspect UPVC double glazed sash windows to the front and side elevations this room is a multipurpose space and can be used as study/office, snug , playroom or gym. With central heating radiator, fitted carpets, five dimming ceiling downlighters and built in boiler/store cupboard which houses the gas-fired Gloworm central heating boiler providing domestic hot water and central heating radiator. Having quality fixtures comprising of three double built-in wardrobes, fitted carpets and four ceiling downlighters. With contemporary white suite of low-level WC, corner bath, 'floating' wash hand basin, and corner quadrant shower cubicle with shower unit, together with complimentary fully tiled walls and tiled flooring, heated chrome towel rail, UPVC obscured glass double glazed sash window, electric shaver point, four ceiling downlighters, and ceiling extractor fan. Situated at the front of the property bedroom 3 is of an attractive L-shaped design, having two UPVC double glazed sash windows to the front elevation, fitted carpets, eight dimming ceiling downlighters, and central heating radiator. Having contemporary white suite comprising of low-level WC with concealed cistern, wash hand basin inset into vanity unit with storage cupboard under, corner quadrant shower cubicle with shower unit, together with complimentary fully tiled walls, tiled flooring, heated chrome towel rail, UPVC double glazed sash window, electric shaver point, four ceiling downlighters, and ceiling extractor fan. Having two UPVC double glazed sash windows to the front elevation, central heating radiator, eight dimming ceiling downlighters, fitted carpets and access to the insulated and part-boarded loft space by way of an aluminium ladder, which also has an electric light. Having contemporary white suite of low-level WC, 'floating' wash hand basin, and corner quadrant shower cubicle with shower unit, together with complimentary fully tiled walls, tiled flooring, heated chrome towel rail, electric shaver point, ceiling extractor fan, and four ceiling downlighters. Of brick construction, having twin remote-controlled electric up-and-over doors to the front, personnel access door to the side, benefitting from electric power and light, and shed space to both the rear and side. Front Garden - The property enjoys a wide front garden, having lawns, mature shrub borders, and wide paved pathway being the full-width of the property and leading to the front of the house. Rear Garden - This well-crafted garden benefits from full-width raised timber decking patio area with external lighting, further lawns and mature trees, with lower paved patio area ideal for the afternoon and evening sun affording a high degree of privacy and seclusion, together with raised shrub borders. This side of the property has stunning Wisteria on the west-facing wall. Tenure - The property is freehold with vacant possession on completion. Council Tax - From enquiries of the VOA Website, we understand that the property currently falls within council tax band F 2018/2019, with Amber Valley Borough Council. However, we would recommend any prospective purchasers make their own enquiries with the local authority. Viewing this property is strictly by appointment only through RF&O. Contact us: 01773 609446 - enquiries@rfoproperties.co.uk. Independent Mortgage Advice is available through our Mortgage Advisor. Please contact us for further information. Please note: Your home may be at risk of repossession if you do not keep up repayments on your mortgage. All intending purchasers of a property being marketed by RF&O Properties will be required to provide copies of their personal identification documentation to comply with the current money laundering regulations. We ask for your prompt and full co-operation to ensure there is no delay in agreeing the sale of a property. RF&O endeavour to maintain accurate depictions of properties in Descriptions and Floor Plans however, these are intended only as a guide and purchasers must satisfy themselves by personal inspection. A rare opportunity to acquire a property on the desirable Blenheim Avenue, Swanwick. RF&O are delighted to offer for sale this stylish and contemporary substantial five bedroom detached family home situated on a quiet cul de sac in the highly sought after village of Swanwick. 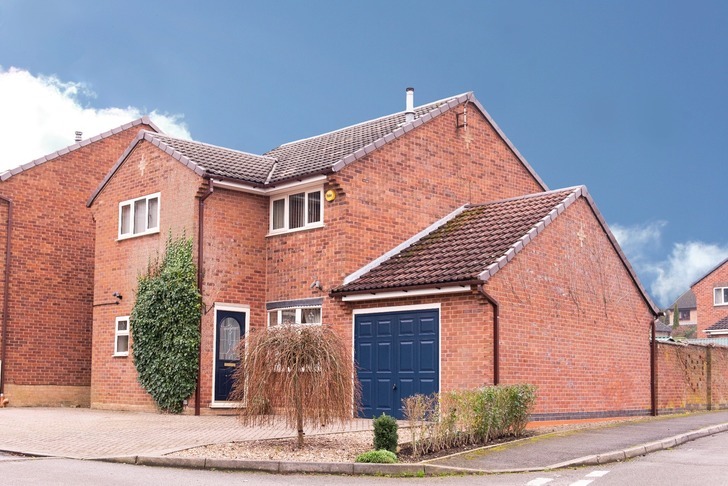 Benefitting from excellent road links to Derby, Nottingham and the M1 Motorway the property is situated near to local shops and amenities and within walking distance of both Primary and Secondary schools ofsted rated as good. The property briefly consists of a large entrance hallway, two ground floor reception rooms, kitchen, utility room, ground floor wc, and conservatory. The upper floor has five well-proportioned bedrooms 4 of which are double bedrooms, with a particularly spacious master with en-suite, airing cupboard and a family bathroom. Outside there is access to the double garage, off road parking, front and rear gardens. The property is also security alarmed. The spacious central hallway provides access to the Kitchen, Lounge, Downstairs W.C, Cloakroom, Staircase and Garage. With carpeted flooring and central heating radiator. The staircase with spindle rail is carpeted and leads off to the first floor. Comprises of a white low level w.c. and white wash hand basin with complimentary splash-back, laminate tile effect flooring and chrome ladder style central heating radiator. This well proportioned lounge benefits from a feature fireplace with multi fuel stove, black tiled surround and hearth, with central heating radiators, upvc double glazed bay window to the front elevation with spot lights, double doors leading into the dining room and is finished with modern wall lights. This good sized dining room benefits from natural light provided by upvc double glazed sliding patio door which leads to the conservatory, and has a central heating radiator and laminate flooring. This well presented and well appointed family kitchen offers a wide range of high and low level matching units, complimentary roll top work surfaces with inset stainless steel sink and drainer with taps. Benefiting from a large Range Cooker with 6 ring gas hob and extractor hood and under counter space for a dishwasher, this versatile kitchen offers a wide variety of storage options. The kitchen area is finished with contemporary splash-back wall tiles, tile effect laminate flooring. There is a central heating radiator and upvc double glazed windows giving views over rear gardens. Fitted with wall and base units, roll top work surface, inset stainless steel sink and drainer and taps, the walls are finished with splashback tiling, tiled flooring, a half glazed upvc door provides access to the rear garden. The useful under counter areas provide storage and plumbing for a washing machine and tumble dryer. The Worcester Boiler is also located in the utility room. Upvc double glazed windows to the side and rear elevations, french style upvc double glazed doors lead out onto the enclosed rear garden and patio area, central heating radiator and the room is finished with laminate wood effect flooring. There is plenty of space for a dining table and chairs and/or seating giving views of the rear garden. The light and spacious landing provides access to all bedrooms, family bathroom, airing cupboard and access to the loft area via a loft hatch. The landing has carpeted flooring and central heating radiator. The loft has laminate flooring, power, central heating radiator and velux windows and could be used as a hobby/playroom. The impressive Master bedroom has, a central heating radiator, upvc double glazed windows to the front elevation which allow plenty of natural light into the room with wood effect laminate flooring. Fitted with a white low level w.c., and double built in shower cubicle with sliding door and glass screen and tiled flooring. The walls are finished with complimentary splash-back tiling. Carpeted flooring, upvc double glazed windows to the front elevation and central heating radiator. Upvc double glazed window to the rear elevation, laminate wood effect flooring and central heating radiator. Upvc double glazed window to the rear elevation, laminate wood effect flooring and central heating radiator and built in shelving. This well proportioned bathroom comprises a three piece white suite to include a low level wc, pedestal wash hand basin with mixer taps and white inset bath set within complimentary tiling with mixer taps. The walls are finished with modern floor to ceiling tiling to include a border tile, central heating radiator, obscured upvc double glazed window and room finished with tiled flooring. To the front of the property is a lawned garden area and paved path leading to the front door and a considerable tarmac driveway offering ample off road parking. There is a protected Oak Tree on the property, for more details please contact our sales team. With an electric up and over door, power, light and personnel door accessed from the internal hallway of the property. The enclosed and easily maintained garden at the rear of the property is landscaped with attractive paving and gravel terraced areas. There is a side gate giving access to the driveway via the carport. RF&O are delighted to market for sale this versatile, ‘Must View’ 4 double bedroomed, stylish and spacious property. Located in Marehay, the property is situated close to local amenities and major transport links including Derby, Nottingham and the M1. This is a unique opportunity to purchase this tastefully refurbished family home and early viewing is highly recommended. The property briefly comprises an entrance hallway, spacious living room with log burning stove and large bay window, a ground floor W.C, modern kitchen, dining room and utility room. The second floor comprises of a sizeable family bathroom, 3 double bedrooms, generous built in wardrobes and the master has the added benefit on an en suite shower room. On the third floor is a large double bedroom with a modern en suite, fitted storage cupboards, and velux windows. To the front, the property is approached from the off road parking area via the paved stairs and pathway leading to the Entrance Porch which has an attractive tiled floor and charming composite front door, the property has the added security benefit of a Yale keypad entry system. The welcoming entrance hallway comprises of engineered oak flooring, central ceiling light, dado rail, victorian arch with attractive period corbels, central heating radiator and provides access to the living room and staircase. The engineered oak flooring continues into the spacious living room which benefits from dual aspect windows allowing views over both the front and rear of the property. There is a large upvc double glazed sash bay window to the front elevation and a upvc double glazed window to the rear. The key feature of this room is the log burning stove which gives the room a cosy and warm feel. The living room also comprises of two vertical central heating radiators, TV aerial point, central ceiling lights and wall lights, tiled wall covering to one end of the room and leads through to the dining room and kitchen. With modern decor and engineered oak flooring, central ceiling light and upvc double glazed side to the side elevation. The centrepiece of this room in the raised gas fire, situated between the dining room and the kitchen allowing the fire to be seen and enjoyed from both rooms. With engineered wood flooring the kitchen comprises of granite co-ordinating work surfaces and contemporary painted base and wall cupboards, with integrated appliances including a dishwasher, microwave and fridge. The focal point to the kitchen is the large Rangemaster, with extractor hood over, four gas burners and one large wok burner as well as dedicated grill, gas ovens and storage drawer. This well presented and well-appointed family sized kitchen is partially tiled with modern splash back tiling, a large Belfast style ceramic sink with mixer tap and a upvc double glazed window giving views over the side elevation. With engineered oak flooring the downstairs W.C. houses a two piece contemporary white suite comprising of a low level W.C. and pedestal hand wash basin with complimentary tiling to the walls and a matt grey ladder style central heating radiator. With tiled flooring and partially tiled walls, the utility offers under counter space for both a washing machine and tumble dryer and a fridge or freezer. There is also a base unit for extra storage and a stainless steel sink and drainer with mixer taps. The utility has the added benefit of housing the outside toilet. Being carpeted, the stairs rises to the first floor carpeted landing which provides access to all bedrooms and the family bathroom. There is also a useful airing cupboard providing additional storage, which houses the high pressure hot water tank. The impressive master bedroom is situated on the first floor of the property, with a contemporary en suite wet room comprising of a large rain shower, two piece white suite with low level W.C, and wash hand basin with storage cupboard and mixer tap. With tiled flooring, tiled walls and ladder style central heating radiator the en suite has a modern and contemporary feel. The carpeted master bedroom also has upvc double glazed sash windows to the front elevation and central ceiling light. This room offers space for a king size bed. With carpeted flooring and upvc double glazed window to the rear elevation, central heating radiator, this second double bedroom also benefits from extensive built in wardrobes. With wood flooring and sizable built in wardrobes bedroom three, which is also a double bedroom, has a side aspect UPVC double glazed window and a central heating radiator. This impressive family bathroom comprises of a contemporary Victorian style hand wash basin with chrome wash stand and a traditional high level cistern W.C. The focal point of the bathroom is the elegant free standing roll top bath, with mixer taps and shower attachment which sits in a commanding central position. The bathroom is finished with complimentary tiles to three walls and floor and one papered wall and side aspect obscured UPVC double glazed window. This bathroom is a perfect example of modern function with classic style. The fourth double bedroom is situated on the second floor of the property, has dual aspect velux UPVC double glazed windows, several built in storage cupboards, neutral décor, carpeted flooring and central heating radiator. Comprising of a large walk in shower cubical with glass doors and shower, low level W.C and wash hand basin with mixer tap. This room also benefits from contemporary tiled flooring and tiled walls. To the front of the property is ample off road parking, and provides access to the front door via the paved steps and access to the rear of the property via a side gate. To the rear of the property is a paved courtyard area leading onto the raised paved patio which in turn leads onto the shaped lawn. With plenty of space for entertaining, the garden has the added benefit of a brick built outbuilding, which has been converted from stables to a spacious garden building/summerhouse with engineered oak flooring, French style patio doors and velux windows to the second floor. This room could be used as a games room, office, summerhouse, playroom, guest bedroom etc. 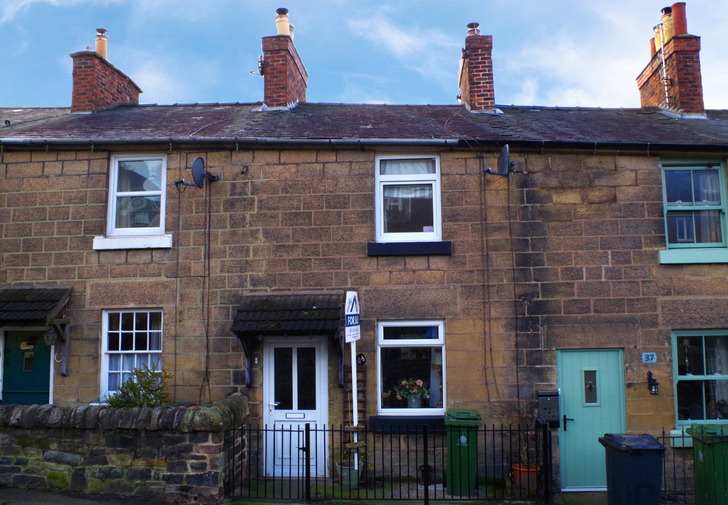 RF&O are delighted to bring to the market this beautifully finished two bedroom cottage, located within the Derwent Valley Mills world heritage town of Belper which offers a wide range of amenities and facilities. 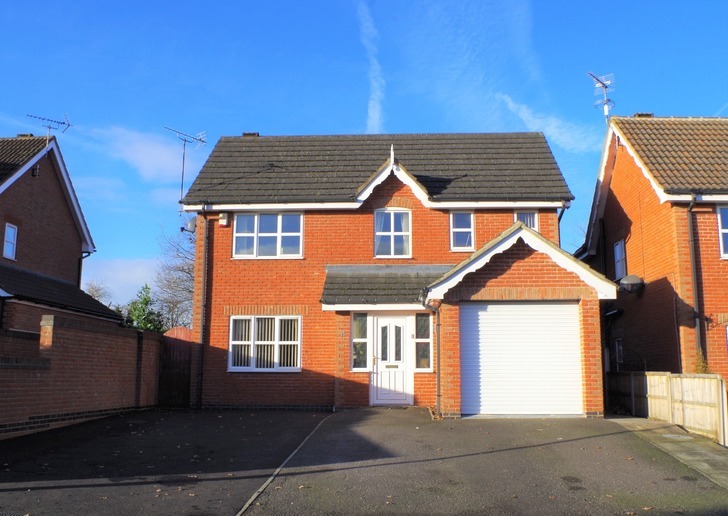 Close to the A38 and with the A6 running through Belper, this location provides excellent access to Derby, with links to the M1 motorway. The Peak District National Park and Derbyshire Dales are easily accessible. This well presented cottage comprises of a cosy living room with feature fireplace and log burner, second reception room/third bedroom with balcony, two well-proportioned bedrooms, one with en-suite, downstairs shower room and separate bathroom. Outside established low maintenance garden and decking area. Due to its position, the property benefits from far reaching views over the surrounding area and local countryside. The charming living room has a large Upvc double glazed window to the front elevation, allowing in lots of natural light. This room benefits from a stone fireplace which houses the log burner, wood flooring, neutral décor and a variety of storage options including shelves and a cupboard. With central heating radiator, TV aerial point and central ceiling light and neutral decor. This room, which is currently being used as a second sitting room, comprises of laminate flooring, neutral décor and has the advantage of offering access to the sizable balcony from which can be seen picturesque views of the surrounding area and countryside. This delightful and versatile kitchen offers base units, with complimentary roll top work surfaces, and large porcelain sink with mixer tap. There is an integrated electric oven and gas hob, Indian paved stone flooring, and recessed spotlights in the beamed ceiling. The kitchen has the added benefit of a large pantry. The Indian paved stone flooring continues into the dining end of the kitchen. Upvc patio doors open out onto the decking area, which in turn leads into the garden. Comprising with the Indian paved stone flooring, this room is fitted with a modern three piece suite comprising an electric shower with glass shower enclosure, low flush WC and wash hand basin. This unique and welcoming bathroom with painted stone walls contains a contemporary roll top free standing bath with mixer taps and shower attachment. There is also a modern chrome ladder style central heating radiator, sink with mixer tap, extractor fan, laminate flooring and wall light. This room also has the added benefit of inset mood lighting. This additional space reception space offers lots of versatility, currently being used as a second dining area this room could also be used as a utility area, storage area, sitting room or playroom. With painted stone walls, Indian paved stone flooring and built in storage cupboards. Having feature fireplace, wood flooring, central heating radiator and UPVC double glazed window to the front elevation. This room is sympathetically decorated in the cottage style. With carpeted flooring, central heating radiator, UPVC double glazed window to the rear elevation and access to the en-suite toilet. This room also benefits from extensive views over open countryside, Belper Mill and the river Derwent. With contemporary white W.C and sink with mixer tap and carpeted flooring. At the rear of the property is a substantial raised decking area, which is accessed via the kitchen/diner, and offering a fantastic entertaining space and seating area. Steps lead down into the main garden area, which is mostly laid to lawn with a large wood store. 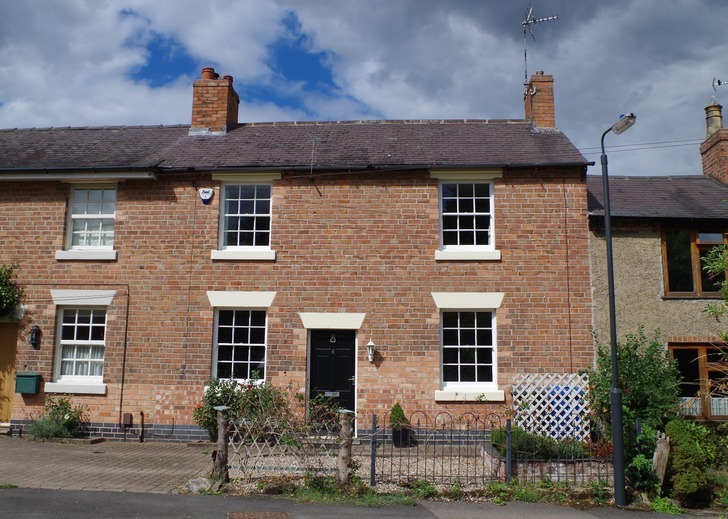 RF&O are delighted to offer for sale this cozy one bedroomed terraced property situated in a sought after village location. Swanwick is a much sought after village with butchers, pharmacy, hairdressers, dentists, newsagents, post office, and close to both Alfreton and Ripley Town Centres which offer excellent shopping, schools, leisure centres and restaurants. Swanwick also offers easy access to major roads such as the A610, A38 and M1 providing a short commute to Derby and Nottingham city centres, as well as being in easy reach of the beautiful Peak District National Park. This property benefits from neutral decoration throughout and comprises of a living room, kitchen and pantry, stairs to first floor leading to the bathroom and a spacious double bedroom. The property is centrally heated and has uPVC double glazing throughout. Comprising of a front aspect UPVC double glazed window, laminate flooring, decorative fireplace, with electric fire, central heating radiator and T.V aerial point. This room benefits from original features which include the attractive original beam. The kitchen comprises of a number of wall and base units, stainless steel sink and drainer with mixer tap, and electric cooker and extractor fan. The kitchen also benefits from under-counter space for a fridge and washing machine, central heating radiator, tiled flooring and a upvc double glazed window to the rear elevation. An under-stairs pantry provides storage for a freezer. The Ideal boiler is also situated in the kitchen. A upvc door leads to the rear of the property. The spacious double bedroom has laminate flooring, with a double glazed UPVC window to the front elevation, and storage over the stairs. The bathroom comprises of a two piece white suite, with low level W.C and pedestal hand wash basin. With partial tiling to the walls, there is an obscured glass double glazed UPVC window, electric shower and central heating radiator. At the rear of the property is a pleasant courtyard and the rear garden is access via the rear of the neighboring property. The garden benefits from a paved area and large shed. 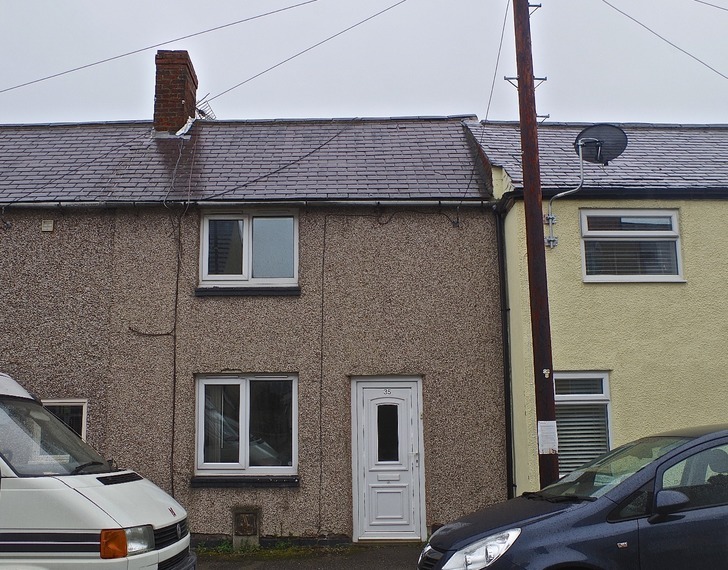 RF&O are delighted to offer for sale this well presented two bedroomed mid town house with gas central heating and double glazing throughout. The property briefly comprises; Entrance Lobby, Lounge with stairs leading to first floor and Dining Kitchen. On the first floor there are two bedrooms and a modern bathroom with a three piece white suit. Outside the property benefits from having off road parking to front and an enclosed lawned garden to the rear with patio area. Comprising of a front elevation double glazed uPVC window, television arial point, laminate flooring and central heating radiator. Delightful modern fitted kitchen, partially tilled with a range of wall and base units incorporating a single sink and drainer, space for a fridge/freezer, integrated electric cooker and hob with extractor hood. There is also under counter space and plumbing for a washing machine. There is a dining area to one end of the kitchen. This well proportioned double bedroom, benefits from laminate flooring and double glazed uPVC window to the front elevation. This room also has a large storage cupboard which offers hanging space and houses the combination boiler. This well proportioned double bedroom, benefits from laminate flooring, central heating radiator and double glazed uPVC window to the rear elevation. Fitted with a modern white three piece bathroom suite comprising of a panelled bath with electric shower over, pedestal wash hand basin and low flush W.C. UPVC obscured window to the rear elevation offers plenty of natural light. There is complimentary tiling to walls and vinyl tile effect flooring. To the front of the property there is a tarmac driveway providing off road car parking and a further gravelled area. To the rear of the property there is an enclosed garden laid mainly lawn with flowers, shrub borders and paved patio area. Viewing this property is strictly by appointment only through RF&O. Contact us: . SOLD STC IN 7 DAYS! RF&O are delighted to bring to the market one of the most desirable properties on the Cromford View development. This executive family home is set on a private road with a larger than average rear garden and has the added benefit of a detached double garage. This beautifully presented four bedroom property sits in a commanding position and enjoys the luxury of space both inside and out. Set on Cromford View, a highly popular estate situated close to Ripley Town Centre and enjoys a variety of local amenities, schooling and doctors all close by. The property has excellent transport links to the A38 link road, Derby and Nottingham city centres, and the M1 Motorway. The property briefly comprises; entrance hall, study/playroom, kitchen/diner, spacious living room, dining room, utility room and a downstairs W/C. The first floor enjoys a family bathroom and four bedrooms with the master having the advantage of an en-suite. To the exterior is a paved patio leading onto the lawn garden at the rear. To the front, there is ample off-road parking for several vehicles with the added benefit of a detached double garage with up and over doors. Having a radiator, laminate flooring and an under stair storage cupboard. With a central heating radiator, carpeted flooring and a double-glazed window to the front elevation. This room could have many uses including study, playroom, separate sitting room, library etc. A beautiful and large room with double doors leading through to the dining room when, once open, is perfect for entertaining. The lounge enjoys an electric fire and feature surround, radiator and a double glazed window to the front. Enjoying an extensive range of; wall, base and drawer units with roll edge work surfaces over incorporating a stainless steel one and half bowl sink and drainer, integrated hob and an integrated oven along with tiled splash backs, tiled flooring, radiator double glazed patio doors leading to the rear garden and a double glazed window to the rear. Offering a roll edge work top incorporating a stainless steel sink and drainer over plumbing for a dishwasher and washing machine along with tiled splash backs and an opaque double glazed door to the side. A two piece suite comprising a low flush W/C and sink and pedestal along with tiled splash backs and a radiator. Having loft access, radiator and a an airing cupboard. Benefiting a three piece suite comprising; bath with shower over, low flush W/C and a sink and pedestal along with a radiator and an opaque double glazed window to the rear elevation. Boasting a radiator, two fitted wardrobes (with ample storage space) and a double glazed window to the front elevation. Having a three piece suite comprising a low flush W/C, shower cubicle, and a sink and pedestal along with tiled splash backs, radiator and an opaque double glazed window to the side elevation. With fitted wardrobes, a radiator and a double glazed window to the front elevation. Having a radiator and a double glazed window to the rear elevation. Offering a fitted wardrobe, radiator and a double glazed window to the rear elevation. To the front, a laid to lawn garden accompanied by flower beds along side an off-road driveway providing ample parking. Offering a paved patio area leading onto a predominantly laid to lawn garden surrounded by flower beds with a timber decking area ideal for seating and to optimise the sun. Offering power, lighting, an opaque door to the side and two single up and over doors. The door to the side of the garage allows easy access from the garage to the property via the garden. All intending purchasers of a property being marketed by RF&O will be required to provide copies of their personal identification documentation to comply with the current money laundering regulations. We ask for your prompt and full co-operation to ensure there is no delay in agreeing the sale of a property. An early viewing is recommended for this impressive detached three-bedroom property, located on Braybrook Close, in the sought after village of Swanwick, which benefits from excellent road links to Derby, Nottingham, A38 link road and Junction 28 of the M1 motorway. Comprising of three well-proportioned double bedrooms, with the master bedroom having the advantage of extensive built in wardrobes. There is also a large family bathroom, a well-proportioned kitchen/diner, living/dining room and downstairs W.C. and utility. The property is also security alarmed. THIS IS A MUST VIEW PORPERTY TO FULLY APPRECIATE THE EXCELLENT LIVING ACCOMMODATION THAT IS OFFERED. The composite front door leads into the welcoming entrance porch providing access to the Lounge/Diner, Downstairs W.C./ Utility area. Comprises of a contemporary cream wc and hand washbasin with complimentary splash-back wall tiles. With under counter space for both washing machine and tumble dryer, wall mounted storage cupboards, ladder style central heating radiator and obscured glass upvc double glazed window. This room also has the added benefit of a Sheila Maid clothes-drying rack. This well proportioned living/dining room has wood effect laminate flooring, an attractive gas feature fireplace, central heating radiator and upvc double glazed bay window to the front elevation. To the dining end of the room is a feature circular double glazed window with attractive stained glass rose design. Feature wooden Bi fold doors lead into the Dining Kitchen. This well presented and good sized family kitchen offers a wide range of high and low matching units, integrated wine rack, complimentary roll top work surfaces with inset resin, one and a quarter bowl sink with mixer taps and drainer. Benefiting from integral appliances including fridge, freezer, dishwasher, built in double electric oven and a four-ring gas hob with extractor hood over. The kitchen area is finished with central ceiling lights, cabinet light fixtures and tile effect vinyl flooring. There are two central heating radiators. French style patio doors lead out onto the delightful enclosed rear garden, and a rear composite door with double glazed unit gives access to the rear garden. The spacious landing provides access to all bedrooms, family bathroom, the airing cupboard and loft hatch. The landing also benefits from an integrated bookshelf and carpeted flooring. The loft is partially boarded with ladder access. The generous master bedroom has the added benefit of built in wardrobes and dressing table. The room also includes central heating radiator, carpeted flooring, upvc double glazed window to the rear elevation allowing a good degree of natural light into the room. With built in wardrobes, carpeted flooring, upvc double glazed window, neutral decor and central heating radiator. Upvc double glazed window to the front elevation, carpeted flooring and central heating radiator. This well proportioned family bathroom comprises of a contemporary white wc, wash hand basin with mixer taps and an attractive feature double ended, free standing bath with mixer taps and shower attachment. This room also benefits from a large walk in shower with glass shower cubical. The walls are finished with modern complimentary splash-back tiling, contemporary curved chrome ladder style central heating radiator, under-floor heating, obscured upvc double glazed window and is finished with laminate flooring and spotlights to the ceiling. To the front of the property is a low maintenance garden area with established shrubs, a paved driveway that offers ample parking for several cars leading to the front door and provides access to the single garage. To the rear of the property the neat fully enclosed garden is mostly laid to lawn with a spacious paved patio area, greenhouse, vegetable patch, a large well-established pond and decking area. A side gate gives access to the driveway. A personnel door leads from the garden into the garage. Offering both car parking and generous workshop space. With up and over garage door, boarded storage area in the roof, power and lighting. An early viewing Is recommended for this impressive detached three bedroom property, located in the popular Peacehaven development which has excellent road links to both Derby, Burton-on-Trent and A50 and A38 link roads. Comprising of three well proportioned bedrooms, with the master bedroom having the advantage of an en-suite shower room. There is also a large family bathroom, a good sized galleried landing offering plenty of natural light, a well proportioned kitchen/diner, living room and downstairs W.C. The property also benefits from an external alarm and zoned central heating. This is a must view property. A welcoming central hallway provides access to the Kitchen Diner, Lounge, Downstairs W.C. and Staircase. The staircase with handrail is carpeted and rises to the first floor. Comprises of a white low level wc and white pedestal wash hand basin with complimentary splash-back wall tiles. Wood effect flooring and central heating radiator. This well proportioned living room has a central heating radiator, upvc double glazed window to the front elevation, upvc double glazed patio doors leading onto the rear garden and the room is finished with neutral carpeted flooring. This well presented and good sized family kitchen offers a wide range of high and low level matching units, and complimentary roll top work surfaces with inset stainless steel, one and a quarter bowl sink with mixer taps and drainer. Benefiting from integral appliances including Zanussi fridge-freezer, dishwasher, built in electric AEG oven and a four ring gas hob including one wok burner and extractor hood over. The kitchen area is finished with spotlights to ceiling and tiled flooring. There are two central heating radiators, upvc double glazed triple aspect windows giving views over the side, front and rear of the property, a large storage cupboard and a rear door with double glazed unit giving access to the rear garden. The light and spacious landing provides access to all bedrooms, family bathroom and the airing cupboard which houses the Valliant Boiler and loft hatch. The landing also benefits from a upvc double glazed window to the rear elevation and carpeted flooring. The spacious master bedroom includes a central heating radiator, upvc double glazed window, which allows a good degree of natural light into the room. Fitted with a white suite which includes low level W.C., pedestal wash hand basin and large built in shower cubicle with sliding door and glass screen. Walls finished with complimentary splash-back tiling. Central heating radiator and spotlights to ceiling. Carpeted flooring, upvc double glazed window, neutral decor and central heating radiator. Upvc double glazed window , carpeted flooring and central heating radiator. This well proportioned bathroom comprises a low level wc, pedestal wash hand basin with mixer taps and panelled bath with mixer taps and Mira electric shower. The walls are finished with modern complimentary splash-back tiling, contemporary chrome ladder style central heating radiator, obscured upvc double glazed window and is finished with tile effect flooring and spotlights to ceiling. To the front of the property is a garden area with established shrubs, paved pathway leading to the front door and to the side of the property is a considerable paved driveway offering ample off road parking leading to the single garage. 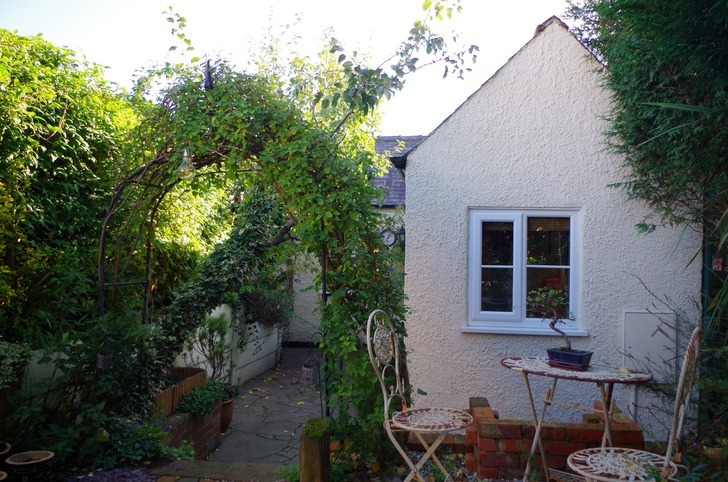 At the rear of the property the garden is enclosed and is not overlooked by any of the surrounding properties. The neat garden is mostly laid to lawn with a spacious paved patio area. A side gate gives access to the driveway and a multi-use paved area at the rear of the garage that could be used for a shed or greenhouse. RF&O are delighted to offer for sale this stylish and contemporary four bedroom detached family home situated on the desirable Blisworth Way, in the highly sought after village of Swanwick. Benefitting from excellent road links to Derby, Nottingham and the M1 Motorway the property is situated near to local shops and amenities and within walking distance of both Primary and Secondary schools, both ofsted rated as good. The property briefly consists of a generous entrance hallway, two ground floor reception rooms, kitchen, utility room, ground floor wc, and conservatory. The upper floor has four well-proportioned bedrooms, with a spacious master with en-suite, airing cupboard and a family bathroom. Outside there is access to the garage, ample off road parking, and an enclosed rear garden. The property is also security alarmed. The spacious central hallway provides access to the Kitchen, Lounge, Dining Room, Staircase and Garage. With tiled flooring and central heating radiator. The carpeted staircase rises to the first floor. This well proportioned lounge benefits from a gas feature fireplace with attractive surround and hearth, with central heating radiators, wood effect laminate flooring and a upvc double glazed window to the front elevation. This good sized dining room benefits from natural light provided by upvc double glazed patio doors which lead to the conservatory, with neutral décor and tiled flooring. Upvc double glazed windows to the side and rear elevations, french style patio upvc double glazed doors lead out onto the delightful enclosed rear garden and patio area. This room benefits from under floor heating and is finished with tiled flooring. There is plenty of space for a table and chairs and/or seating giving views over the rear garden. The well presented and well appointed family kitchen offers a wide range of high and low level matching units, complimentary roll top work surfaces with inset stainless steel one and a half sink and drainer with mixer taps. Benefiting from a 4 ring gas hob and extractor hood, electric oven, integrated dishwasher and space for a large fridge freezer and views over the garden. This versatile kitchen offers a wide variety of storage options and is finished with contemporary splash-back wall tiles and tiled flooring. Fitted with a variety of wall and base units with roll top work surface, inset stainless steel sink and drainer and mixer tap, the walls are finished with splashback tiling and tiled flooring. A upvc door provides access to the rear garden. The useful under counter areas provide storage and plumbing for a washing machine and tumble dryer. The Boiler is also located in the utility room. This room comprises of a white low level w.c. and white wash hand basin with complimentary splash-back, tiled flooring and central heating radiator. 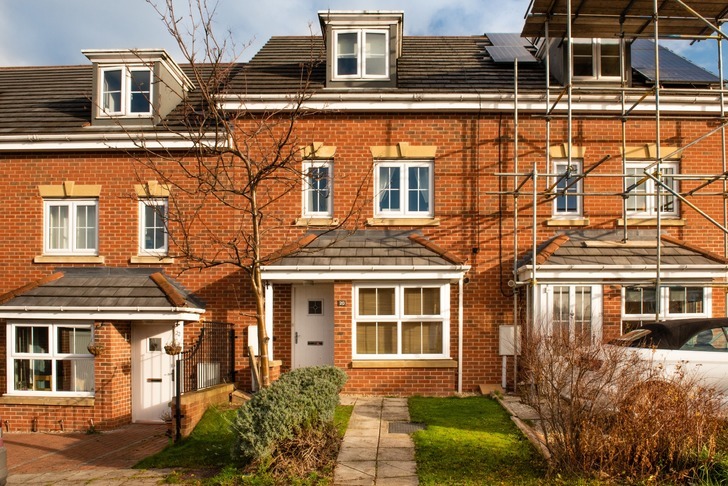 ¿The light and spacious galleried landing provides access to all bedrooms, family bathroom, airing cupboard and access to the extensively boarded loft area via a loft hatch. The landing has carpeted flooring and central heating radiator. The impressive master bedroom has, a central heating radiator, upvc double glazed windows to the rear elevation that allow plenty of natural light into the room with views over the park. The bedroom is carpeted and has the added benefit of built in wardrobes, dressing table, bedside tables and window seat which offer an extensive range of storage options. Fitted with a white low level w.c., hand wash basin and shower cubical with electric shower. The walls are finished with complimentary tiling. Upvc double glazed window to the rear elevation, carpeted flooring and central heating radiator. This well proportioned family bathroom comprises of a contemporary three piece white suite to include a low level wc, pedestal wash hand basin with mixer taps and white bath with electric shower over, the bathroom is finished complimentary. There is also a central heating radiator, obscured upvc double glazed window and room finished with laminate flooring. There is a considerable tarmacked driveway offering ample off road parking. To the rear of the property is an enclosed and easily maintained garden. The garden is mostly laid to lawn with an attractive patio area and large storage shed. RF&O are delighted to market for sale this 4 bedroomed, stylish and spacious property. Located in North Wingfield the property has views over open countryside and is situated on a quiet cul-de-sac, with access to local amenities and, major transport links including Chesterfield, Clay Cross and the M1. The property briefly comprises an entrance hallway, spacious living room with patio doors leading out onto the garden, a ground floor wc, modern kitchen with a large front aspect UPVC double glazed bay window and under-stairs storage space. The second floor comprises of a family bathroom, 2 double bedrooms with built in wardrobe space and a single bedroom. On the third floor is a large master bedroom with a modern en suite, fitted wardrobes, dressing area and velux windows. Approached by a paved pathway to the front of the property the UPVC door opens into the hallway leading to the kitchen. With modern decor and tile effect vinyl flooring the kitchen comprises of marble effect matching work surfaces and wood effect complimentary base and wall cupboards, with integrated appliances including a dishwasher and fridge-freezer . The focal point to the kitchen is a large front aspect UPVC double glazed bay window that looks out on the quiet cul-de-sac. This well presented and well appointed family kitchen is partially tiled, has modern fixtures and fittings such as a stainless steel oven and gas hob with a stainless steel over head extractor fan, a one and a half sink with mixer tap and drainer. With tile effect flooring the downstairs w.c. houses a two piece contemporary suite comprising of a toilet and sink with complimentary splash back tilling. With neutral carpeted flooring and patio doors allowing in plenty of natural light and leading out onto the back garden the lounge is bright, open and spacious. With views onto the back garden the focal point to this room is an electric decorative feature fireplace. With generous under stairs storage space, central heating radiators, UPVC double glazed windows to the rear elevation and central light fitting. With neutral decor and partially titled walls the family bathroom comprises of a contemporary oval sink basin with complimentary splash back tiles, tap and shower combination and cream bath. Vinyl tiled effect flooring and rear aspect obscured UPVC double glazed window. The impressive master bedroom is situated on the top floor of the property. With an elegant curved archway leading to the dressing area with built in wardrobe space and a contemporary en suite comprising of an electric shower with shower cubicle, and two piece white suite with toilet and sink. With vinyl flooring and central heating radiator the en suite also has a velux window allowing in natural light. The carpeted master bedroom also has a velux window and an attractive dormer window and built in wardrobes. The room offers space for a kingsize bed. With carpeted flooring and window to the front elevation, central heating radiator, the second bedroom also benefits from a built in wardrobe. With carpeted flooring and built in wardrobes bedroom three has a rear aspect UPVC double glazed window to the rear elevation and a central heating radiator. Bedroom four which could also be used for a nursery, baby room or study has a front aspect UPVC double glazed window, neutral decor and central heating radiator. The rear garden is fully enclosed and comprises of a patio area and lawned area .A gate to the rear of the garden leads to a path which gives private access to the rear of the garage. The garage is situated a short walk away from the property and can be accessed by a private path at the rear of the garden which gives access via an external personnel door, or from the front of the garage via an up and over door. 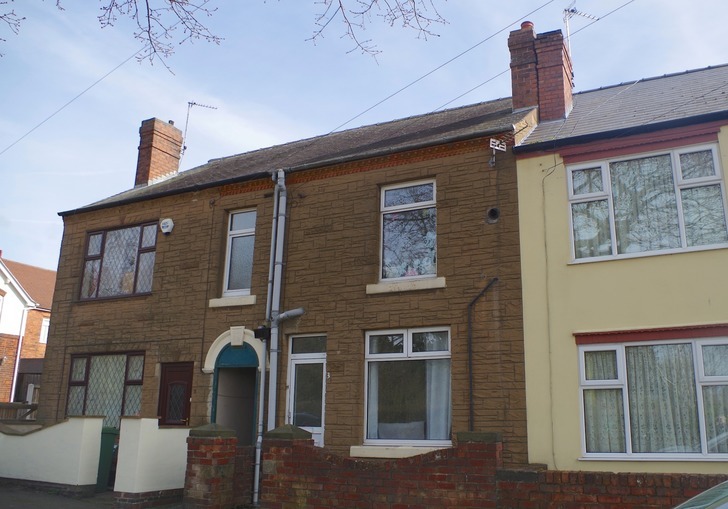 An exciting opportunity has arisen to acquire a 2 bedroomed terraced house on a quiet street in Leabrooks, overlooking nearby allotments. With modern interior, this property is well maintained throughout with neutrally decorated rooms. The sizeable ground floor benefits from a good sized lounge, well-proportioned dining room and kitchen. 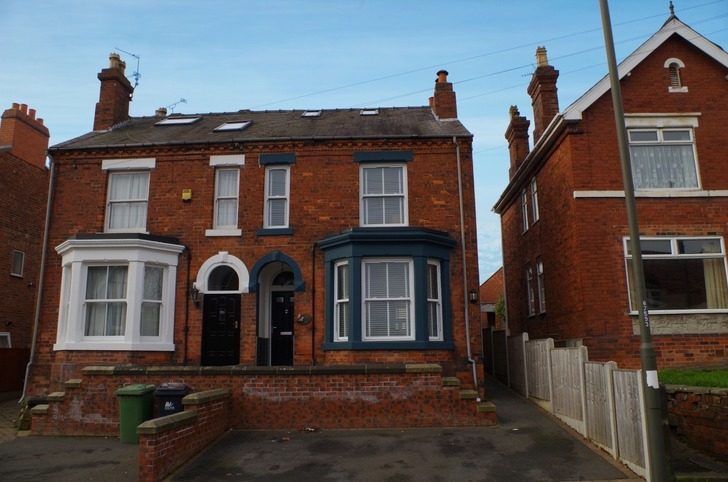 This terraced house has a homely and welcoming feel, it has well proportioned rooms on both the ground and first floors. 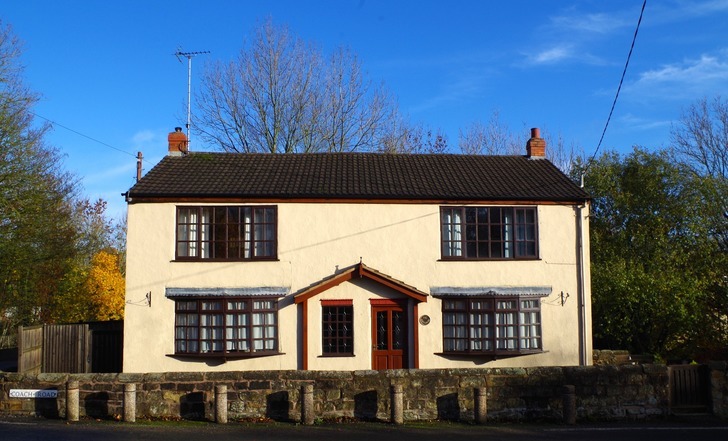 This property is situated within easy access to local amenities and transport links such as the A38 and M1 motorway. Viewing is highly recommended and if you would like any additional information please do not hesitate to contact RF&O directly. The property is accessed via a UPVC door to the front elevation opening into the lounge. With carpeted flooring and neutral décor, this room benefits from a large front aspect UPVC window providing plenty of natural light, central light fitting and central heating radiator. This good sized, neutrally decorated room gives a great sense of space. Benefitting from carpeted flooring, ceiling light fitting and double central heating radiator. A UPVC double glazed window looks onto the rear garden. The modern kitchen has a side aspect UPVC double glazed windows. With a range of contemporary wall and base units, with roll-edge worktops with integrated electric oven and electric hob and under counter space for a washing machine. A UPVC rear doors leads into the garden. The spacious master bedroom is neutrally decorated and benefits from a rear aspect UPVC window providing natural light. With a built in cupboard providing storage, carpeted flooring and central heating radiator. The neutrally decorated second bedroom is a welcoming space with room for a double bed. This room could be used as a child's room, spare room or dressing room. With a UPVC double glazed window to the front elevation overlooking the neighbouring allotments and allowing in natural light. This room benefits from a central heating radiator. The bathroom has an obscured double glazed UPVC window, with carpeted flooring and complimentary fully tiled walls. This bathroom benefits from a white 3 piece suite comprising of pedestal wash hand basin, low level WC and panelled bath with shower attachment. The enclosed, low maintenance, rear garden benefits from a courtyard area, large lawn and gives access to the outhouses. 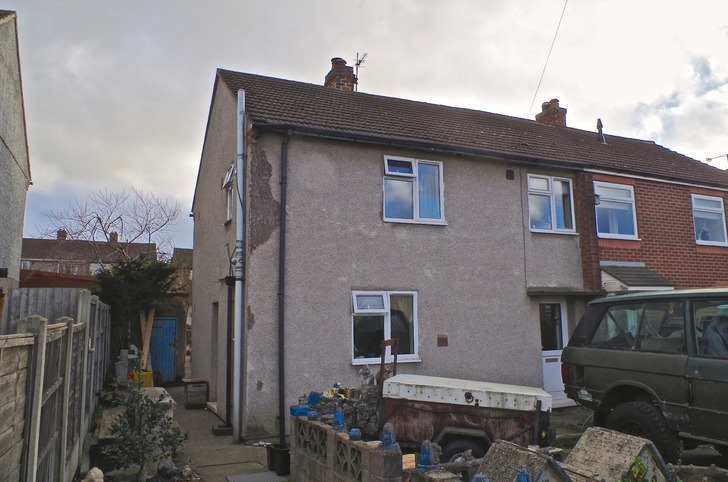 RF&O are pleased to offer for sale this three bedroom semi detached home, which is of non-standard construction. The accommodation must be viewed to fully appreciate the size and layout, which very briefly comprises: Entrance hall, living room with feature fireplace, kitchen, dining room. To the first floor there are three bedrooms and a family bathroom. Outside there is a garden to the rear and driveway with off road car parking to the front. Within Stonebroom are a selection of local amenities and facilities including, Fast Food Outlets, Public House, Church, Methodist Church, Bus routes, Primary School, and easy access to the A61/A38. With double glazed Upvc entrance door to the front elevation and carpeted stairs rising to the first floor accommodation. This is a light and spacious room with the focal point being gas feature fireplace, T.V. aerial connection point, large double glazed window to the rear elevation and central heating radiator. With a range of base units incorporating drawers and cupboards, wallpaper to the walls and tiling to the floor. The kitchen includes a sink unit with taps and drainer, under-counter space and plumbing for automatic washing machine, and double glazed window to the rear elevation. A Upvc door to the side elevation leads to the rear garden. With carpeted flooring, central heating radiator and upvc double glazed window to the rear elevation. With doors to the bedrooms and the bathroom and carpeted flooring. There is also a storage cupboard which houses the hot water tank and boiler. With carpeted flooring, central heating radiator, and double glazed Upvc window to the rear of the property. With double glazed Upvc window, carpeted flooring and central heating radiator. With double glazed Upvc window and carpeted flooring. With wet-room style shower area, electric shower, hand washbasin, high level cistern W.C., and partial tiling to the walls. With obscured double lazed Upvc windows and storage cupboard. The rear of the property is a lawned area and patio area. To the front of the property there is driveway providing off road car parking and access to the side of the property. There is also a stone wall and garden area to the side if the drive. EPC and Floorplan coming soon. RF&O are delighted to market this beautifully presented, double fronted character property. The property is located in the heart of Derbyshire at Golden Valley, between the villages of Codnor and Riddings. This four double bedroomed detached home is situated in a semi rural location/conservation area with a fantastic selection of stunning country walks right on the doorstep. Within easy access of local shops, bus routes and major road links including the A38/A610 and junction 28 of the M1 motorway. This beautiful and spacious family home offers a variety of features including high ceilings,well proportioned reception rooms, and is presented with a light, airy and bright feel throughout. The accommodation briefly comprises of hallway, downstairs WC, study/second sitting room, spacious living room, dining kitchen, dining room, four double bedrooms and family bathroom. The property also boasts well maintained gardens with large patio area, decking area, large stone built double garage, driveway and summerhouse. This unique property offers a variety of further improvements for the buyer however all essentials are completed to a high standard. A decorative, glass panelled front door leads you into the hallway of this spacious home. The hallway offers access to the first floor landing, living areas, and downstairs WC. The room benefits from a central heating radiator, carpeted flooring and neutral decor. Comprising of a low flush saniflow WC, corner hand wash basin, extractor fan and central heating radiator. The downstairs WC also offers useful storage space to hang coats and shoes before entering the main property. This room is currently being used as a home office space, with a pleasant view across open fields to the front elevation through a large bay window. This room benefits from plenty of natural light and is neutrally decorated. The room also offers alternative uses which include a second sitting room, playroom, games room, breakfast room and/or third dining area. The space has been finished with carpeted flooring, and central heating radiator. This well proportioned family room benefits from plenty of natural light due to the dual aspect windows to the front and rear elevations. The focal point is the exposed stone wall with inset space for the coal effect gas fire. There is also a cupboard housing the gas meter and gas central heating controls. The space also benefits from a central heating radiator, carpeted flooring and central ceiling and wall lights. With window to the rear elevation looking out over the decking area. The dining room has a large useful storage cupboard. The room has been finished with carpeted flooring, complementary decor and a central heating radiator. The kitchen area has plenty of bespoke wall and base storage units finished with grey fronts and soft close doors and drawers, plenty of work surfaces, on and a half sinks, drainer and stainless steal mixer tap. The kitchen has space made for a gas cooker, fridge freezer, washing machine and dishwasher. With dual aspect windows to the side and rear elevations overlooking the patio area, maintained gardens and woodland this room enjoys pleasant views. The kitchen has been finished with slate effect piazza flooring and complementary tiled splash-backs. The light and spacious landing provides access to all four bedrooms, family bathroom and useful walk in storage cupboard with shelving. The loft can be accessed from the landing and there is also a central heating radiator. This large double bedroom has a large walk in wardrobe which has the potential to be converted into an en-suite if desired. There is a window to the front elevation, central heating radiator, TV aerial point and telephone point. Finished with neutral decor, central ceiling light and carpeted flooring. A double bedroom with walk in wardrobe comprising of hanging space and fitted cupboards to allow its maximum storage potential. The walk-in wardrobe has potential to be converted into an en-suite if desired. There is a telephone point, central heating radiator and a window to the front elevation. This room has also been finished with neutral decor and carpeted flooring. A double bedroom with a window to the rear elevation and a central heating radiator. Fitted with a three piece beige coloured suite, this family bathroom consists of a bath with Mira Sport electric shower over, low level WC, wash hand basin set into a wooden vanity unit with useful storage cupboard, towel rail, wood effect laminate flooring, obscured window to the rear elevation, fitted floor to ceiling airing cupboard which houses the hot water tank. To the front of the property there is a stone wall with a wooden gate giving access to a pathway that leads to the front and side of the property. There is a generous flagstone patio to the side of the property and decked areas to the rear offering a secluded entertaining space. A tarmac pathway leads down to the lawn and main garden area to the impressive double garage and main driveway. Surrounding the lawned area are established, seasonally planted flower beds and borders, an attractive pond, wooden summerhouse, greenhouse, wooden pergola with additional paved patio area. There are also raised low maintenance beds, established trees and low maintenance shale beds suitable for potted plants/trees. There is also an outside water tap. The driveway has a large wooden gate for access and provides off road parking for at least 4 cars. In addition there is an opportunity for creating additional parking for a caravan/van/horse box and the possibility of creating an in-out driveway. The garage benefits from a pitched roof, two singular up and over doors and can be easily accessed from the main driveway. Viewing this property is strictly by appointment only through RF&O Properties. Contact us: 01773 609446 - enquiries@rfoproperties.co.uk. RF&O Properties endeavour to maintain accurate depictions of properties in Descriptions and Floor Plans however, these are intended only as a guide and purchasers must satisfy themselves by personal inspection. RF&O are pleased to bring to the market this two bedroom detached bungalow with a gas central heating system and double glazing throughout. The accommodation must be viewed to fully appreciate the size and layout, which briefly comprises: kitchen with a range of wall and base units, lounge with large front aspect window allowing plenty of natural light into the room, two bedrooms, and shower room. A long driveway and carport provides ample off road car parking for several vehicles. Within South Normanton there is a variety of local facilities and amenities which include a late opening Co-Op, post office, general store, medical centre, chemist, dentist, fast food outlets, public houses, places of worship, village hall and a range of schools. The M1 can be accessed at the nearby junction 28, which also provides access to the A38, Surrounding town and city centres include Nottingham, Derby, Mansfield and Chesterfield. Lying just off the A38 is The East Midlands Designer Outlet providing a selection of retail opportunities. With a range of wall and base units, complementary rolled edged work surfaces, partially tiled walls, inset sink unit with mixer tap and drainer, plumbing for automatic washing machine, gas hob and oven, space for a fridge-freezer, carpeted flooring and double glazed window to the front elevation. A Upvc door to the side elevation leads to the carport, which in turn leads to the rear garden. This is a light and spacious room with gas fire, carpeted flooring, large double glazed window to the front elevation and central heating radiator. With built in storage wardrobes and cupboards, carpeted flooring, central heating radiator, and double glazed Upvc window to the rear elevation. The Worcester boiler is located in a built-in wardrobe. With double glazed Upvc window, central heating radiator and carpeted flooring. Fitted with a modern three piece suite comprising an electric shower with glass shower enclosure, low flush WC and wash hand basin, carpeted flooring, uPVC double glazed obscured glass window, central heating radiator and complementary tiling to the walls. The rear of the property is mostly laid to lawn and is bordered on one side by an established hedge providing privacy. There are also two large sheds, coal house and pond. To the front of the property there is long driveway providing off road car parking and car port. There is also a garden area to the side of the drive. RF&O are delighted to bring to the market this beautifully finished two bedroom bungalow in the popular village location of Swanwick, with convenient access to local amenities and public link roads including the A38 and M1. Within walking distance of local schools, parks and amenities. 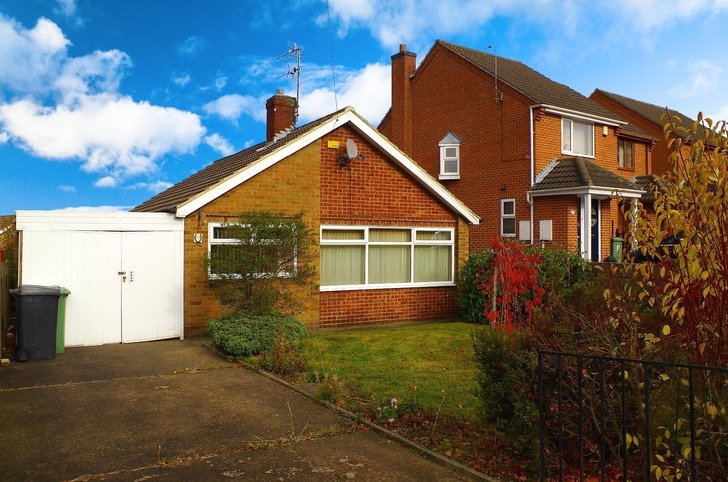 This well presented detached bungalow is situated on a secluded plot with off road parking. Comprising of entrance porch, spacious living room with feature fireplace, inner dining hall, two well-proportioned bedrooms, family bathroom and established low maintenance garden. Due to its position, of the property is very private and not overlooked on any aspect. Accessed through an external door, the porch offers a space to store coats and shoes away from the main living areas. With tiled flooring, ceiling light and double glazed upvc window. The hallway gives access to the living room through an internal door. The living room has a large Upvc double glazed square bay window allowing lots of natural light into the living room. This room benefits from a feature cast iron gas fire with Adams style wood surround, marble effect black plate and hearth. With two central heating radiators, wood effect laminate flooring, coving to the ceiling, TV aerial point and central ceiling light. With wood effect laminate flooring, ceiling coving, central heating radiator and UPVC double glazed window, and pleasant views overlooking the garden. This delightful and versatile kitchen offers contemporary wall and base units, glass fronted wall cabinets, complimentary work surfaces, breakfast bar and stainless steel sink unit with mixer tap. The kitchen also benefits from under counter space with plumbing for a washing machine and dishwasher, four ring gas hob, integrated electric oven, slate tiled flooring, attractive tiled splash backs, recessed spotlights, UPVC double glazed windows and composite stable style access door which leads into the garden. Having attractive feature wood paneling to dado rail height, carpeted flooring, ceiling coving, central heating radiator and UPVC double glazed window. With carpeted flooring, central heating radiator, UPVC double glazed window and loft access. Having been recently renovated to a high standard and finish the bathroom comprises of a three-piece white suit with low-level flush W.C, sink unit with mixer tap, bath with shower attachment and glass screen, extractor fan, tiled splash backs, oak effect tiled flooring, central heating radiator, UPVC double glazed opaque window and recess storage cupboard which houses the combination gas boiler. The property benefits from a high level of privacy with newly installed off road parking. Approached via the pebbled driveway with a paved pathway leading to the front door. At the front of the property is a pathway that also leads to the front door through an access gate with charming rose pergola entrance arch. At the rear of the property is a delightful, private cottage style garden with established flowerbeds, pond, external electric points, lighting, brick built barbeque and raised rear patio. RF&O are proud to offer this exclusive and private new development offering a range of detached and semi-detached properties in a secure and secluded gated situation. 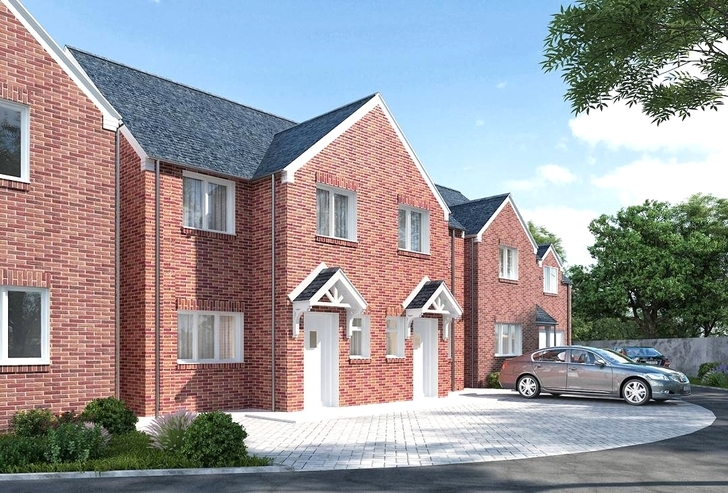 Broadleaf Close is a brand new development off the B6023 Alfreton Road, Sutton in Ashfield NG17 1FJ. Access to junction 28 of the M1 is only a 5-minute drive which passes McArthur Glen Designer Outlet along the way. There are two local railway stations which are 10-minutes’ drive away. Broadleaf Close is conveniently on a bus route, and is only a 10-minute walk to the town centre which has an indoor shopping centre and a recently refurbished indoor market. DELIGHTFUL DOUBLE FRONTED COTTAGE WITH OFF ROAD PARKING AND ENCLOSED GARDEN - RF&O are pleased to bring to the market this rare opportunity to purchase a three bedroom brick-built cottage with off road car parking located in a conservation area within walking distance of Allestree Park, Lake and Golf Course. The property is constructed of brick beneath a roof of slate and is of double fronted appearance relieved by matching ground and first floor sash multi-paned windows, stone lintels and sills and a panelled entrance door. An internal inspection is highly recommended to appreciate the high quality finish of this unique home. Comprising of gas central heating, a charming lounge with French doors opening onto the rear courtyard with patio area and bordered by an attractive collections of perennials and shrubs, dining room with exposed brick chimney breast incorporating display stove and hearth, inner lobby with under stairs storage cupboard and kitchen. 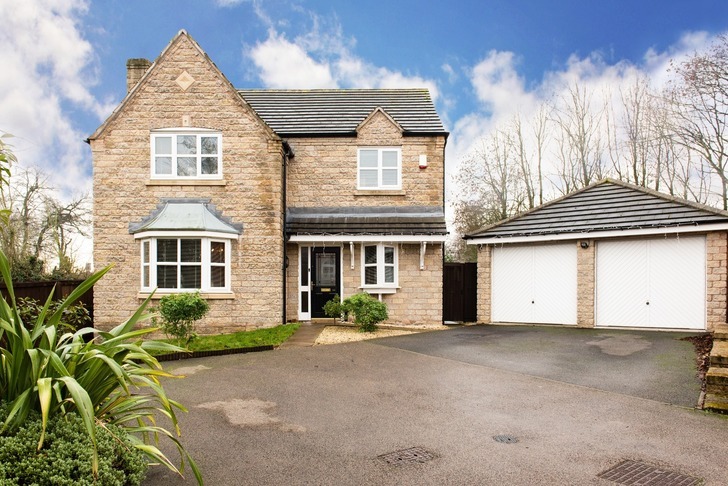 The first floor landing leads to three well proportioned bedrooms and family bathroom. The property benefits from off-road parking and to the side of the property is a path which leads to an attractive, enclosed garden mostly laid to lawn with established flowerbeds, shrubs and large summerhouse. Allestree conservation area is located approximately three miles from the city centre and provides a good range of local shops, petrol station and noted Park Lane Surgery. Park Farm Shopping Centre and Blenheim Parade shops provide a more comprehensive range of facilities together with excellent local schools at all levels and a regular bus service operates along Duffield Road (A6), a short distance from the property. Recreational facilities close by include Woodlands Tennis Club, Allestree Park with its golf course and fishing lake (within walking distance) and Markeaton Park, also having a fishing and boating lake, together with Kedleston golf course. Lounge - 4.55m x 3.48m (14'11" x 11'5") - With chimney breast with feature fireplace with inset Living Flame gas fire, painted beams to the ceiling, fitted wall lights, wood skirting boards and architraves, central heating radiator, period sash multi-pane window to the front elevation, fitted book shelving, and French doors opening onto the courtyard and wood panelled door. Lobby - With terracotta tiled flooring and useful under stairs storage cupboard. Dining Room - 3.63m x 3.58m (11'11" x 11'9") - With half exposed brick chimney breast with inset stone lintel and exposed brick fireplace and raised tiled hearth, solid wood flooring, wooden skirting boards and architraves, fitted wall lights, centre ceiling rose, inset door mat, central heating radiator, panelled entrance door, matching sash multi-pane window to the front elevation and open archway with carpeted staircase leading to first floor. Kitchen - 3.25m x 2.29m (10'8" x 7'6") - With single stainless steel sink unit with mixer tap, base units with draws, tiled splash backs, wall and base fitted units with matching work tops, built in stainless steel four ring gas hob, built in stainless steel fan assisted oven, vent for tumble dryer, plumbing for automatic washing machine, space for tall fridge/freezer, central heating radiator, complimentary quarry tiled floor, sealed unit double glazed window, half glazed door giving access to rear courtyard and wall mounted Glow Worm central heating boiler. First Floor Landing - With built in airing cupboard with hot water cylinder and shelving. Bedroom 1 - 3.61m x 3.58m (11'10" x 11'9") - With chimney breast, wood skirting boards and architraves, access to roof space, central heating radiator, built in wardrobe with latched door, sash multi-pane window with aspect to front and stripped latched door. Bedroom 2 - 3.63m x 3.15m (11'11" x 10'4") - With chimney breast, fitted pine book shelving with base cupboards to the left hand side of the chimney breast, wood skirting board and architraves, radiator, sash style multi-pane window with aspect to the front elevation and stripped latched door. Study/Bedroom 3 - 3.30m x 2.31m (10'10" x 7'7") - With fitted book shelving, fitted base cupboards incorporating wine rack and wood work top, central heating radiator, painted beams to ceiling, obscure glazed window to the side elevation, sealed unit double glazed window and stripped latched door. Bathroom - 2.69m x 1.30m (8'10" x 4'3") – comprising of a three piece white suite, with bath with electric shower over, glass shower screen, fitted wash basin with fitted base cupboards beneath, low level WC, tiled splash backs, tiled flooring, heated towel rail, double glazed window and stripped latched door. Courtyard - This area is accessed from the kitchen door and provides a pleasant sitting and entertaining space with patio area and bordered by an attractive collection of perennials and shrubs. Off Road Parking - To the front of the property is a block paved fore garden, with gravelled areas edged by wrought iron railings with small shrubs and trees providing a screen for privacy and an outside light. This area also provides off road car parking. There is also a further car parking space located to the left hand side of the property. Enclosed Garden - There is an attractive, well-proportioned enclosed garden located approximately 40 yards from the property itself. The garden is neatly kept with shaped lawns, flowerbeds, shrubs and is fully enclosed. The large summerhouse has the added benefit of mains electricity and could therefore be used as an entertainment area, playroom, gym or home office. The summerhouse and timber shed are both included in the sale. Directions – If leaving Derby City Centre along Duffield road (A6). Proceed straight ahead at the mini roundabout (Broadway Public House) and continue along Duffield Road (A6). At the 2nd roundabout again proceed straight ahead, continuing along Duffield Road (A6) and immediately after passing the local petrol station on the left hand side, take a sharp turning left signposted Church Walk, proceed along Church Walk and No 4 will be located on the right hand side. 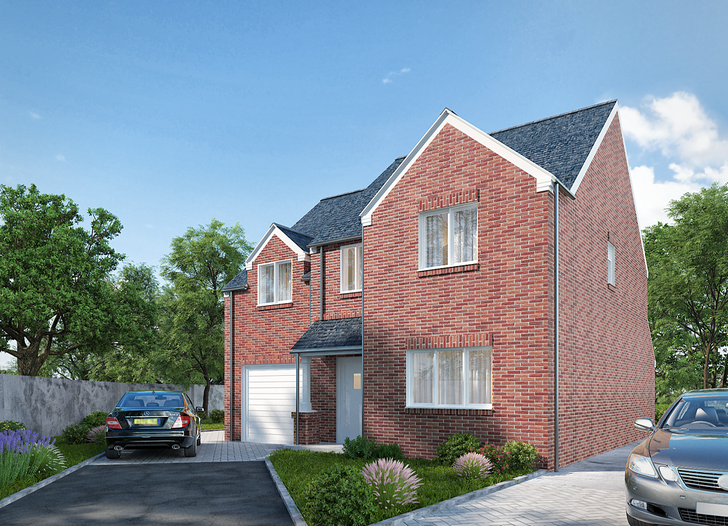 RF&O are delighted to offer for sale this spacious detached three bedroom new build home. Ideal for families and individuals that are looking for a bespoke Architect-Designed home with luxury features. 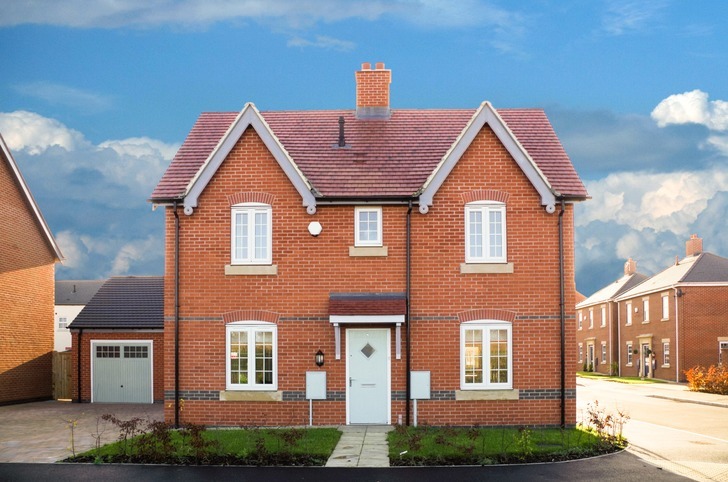 The development has easy access into the town centre with all of its facilities and is well placed for fast access onto the A38 which, in turn, leads to both Mansfield and Junction 28 of the M1 motorway. All of the houses in this modest development include ultra-fast Virgin Media broadband (up to 300Mb/s) pre-installed to internal sockets. 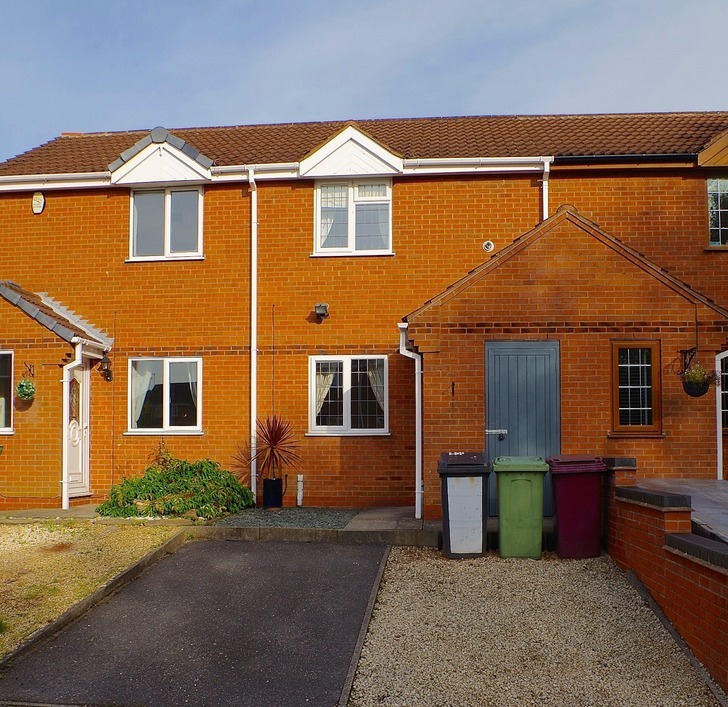 1 Broadleaf Close is a three bedroomed detached home that comprises of an entrance hallway and downstairs cloakroom with a good sized living room. The property benefits from a light and airy open plan family kitchen & dining room with utility room and plenty of storage space. On the first floor there are three double bedrooms, more storage facilities and a fully fitted modern bathroom. The master bedroom has the added benefit of an en-suite shower room. The house is fully double glazed with a log burner in the living room . Outside there are car parking spaces for two vehicles and a pleasant garden area. Built by a LABC Registered Developer. This means that as well as regular inspections from the local authority as the house is being constructed, additional inspections are made by LABC to ensure that the highest standards are maintained. This gives buyers the reassurance of a 10 year Structural Warranty issued and backed by LABC, who employ 3,000 professional building surveyors and technical support staff to ensure quality of construction. Enquiries for this property are strictly to be through RF&O Properties. Contact us: 01773 609446 - enquiries@rfoproperties.co.uk. All intending purchasers of a property being marketed by RF&O Properties will be required to provide copies of their personal identification documentation to comply with the current money laundering regulations. We ask for your prompt and full co-operation to ensure that there is no delay in agreeing the sale of a property. COMING SOON - RF&O are delighted to offer for sale this spacious detached four bedroom new build home. Ideal for families and individuals that are looking for a bespoke Architect-designed home with luxury features. 2 Broadleaf Close is a four bedroomed detached home with integral garage offering luxury living for all the family. The ground floor comprises an entrance hallway with downstairs cloakroom, a well proportioned living and dining kitchen to the rear of the property with the added benefit of a utility room off. On the first floor there is a galleried landing with four bedrooms, storage cupboard and a family bathroom. The master bedroom benefits from an en-suite shower room. To the rear of the property are glass doors leading from the lounge to the garden. Built by a LABC Registered Developer. This means that as well as regular inspections from the local authority as the house is being constructed, additional inspections are made by LABC to ensure that the highest standards are maintained. This gives you the reassurance of a 10 year Structural Warranty issued and backed by LABC, who employ 3,000 professional building surveyors and technical support staff to ensure quality construction. Enquiries for this property are strictly to be with RF&O Properties. 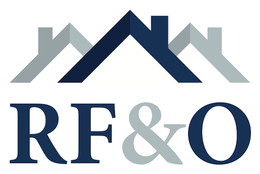 Contact us: 01773 609446 - enquiries@rfoproperties.co.uk. 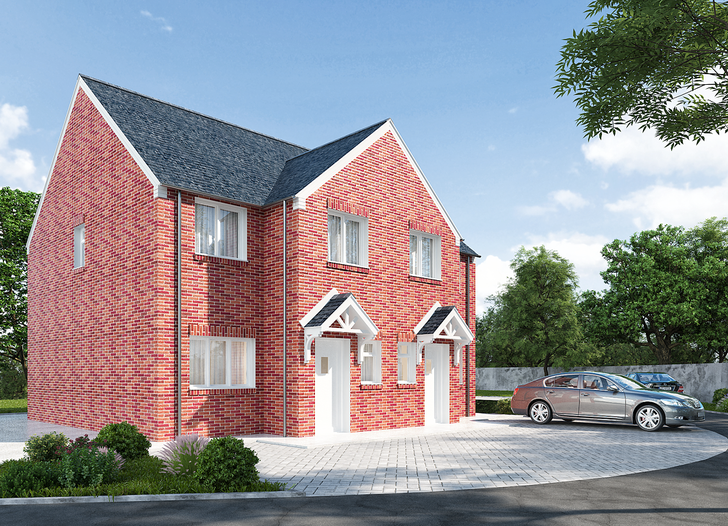 COMING SOON - RF&O are delighted to offer for sale this spacious semi-detached 3 bedroom New Build home. Ideal for families and individuals that are looking for a bespoke Architect-designed home with luxury features. All the of houses in this modest development include ultra-fast Virgin Media broadband (up to 300Mb/s) pre-installed to internal sockets. 4 Broadleaf Close is a three bedroomed semi-detached home which has car parking spaces for two vehicles. The entrance porch leads to the downstairs cloakroom and off the hallway is a kitchen/dining room. On the first floor there are three well proportioned bedrooms and a family bathroom. The master bedroom overlooks the garden. The living room at the rear of the property has French doors leading to the patio and garden area. 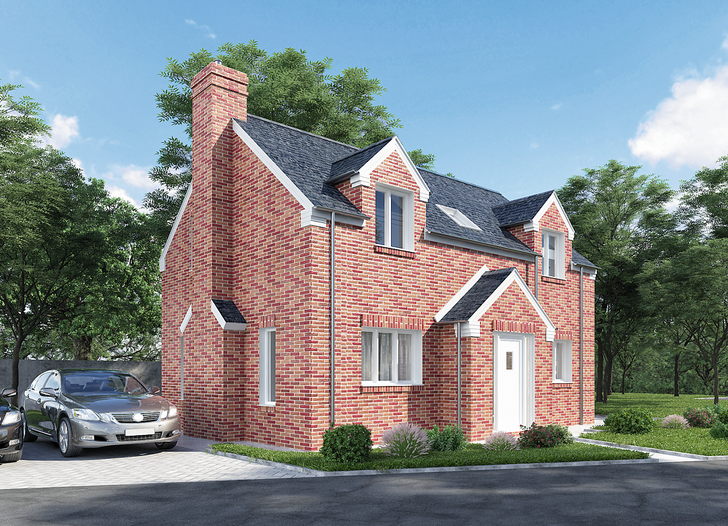 RF&O are delighted to offer for sale this spacious detached four bedroom New Build home. Ideal for families and individuals that are looking for a bespoke Architect-designed home with luxury features. All the houses include ultra-fast Virgin Media broadband (up to 300Mb/s) pre-installed to internal sockets. 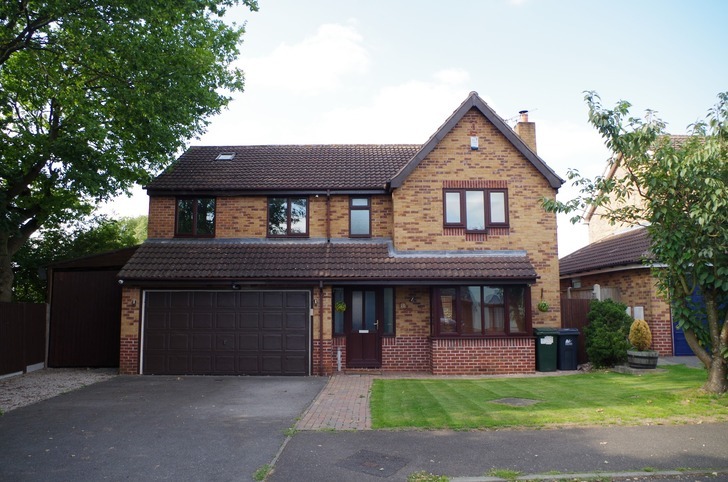 5 Broadleaf Close is a four bedroomed detached home with integral garage offering luxury living for all the family. The ground floor comprises an entrance hallway with downstairs cloakroom, a well proportioned living and dining kitchen to the rear of the property with the added benefit of an adjacent utility room. 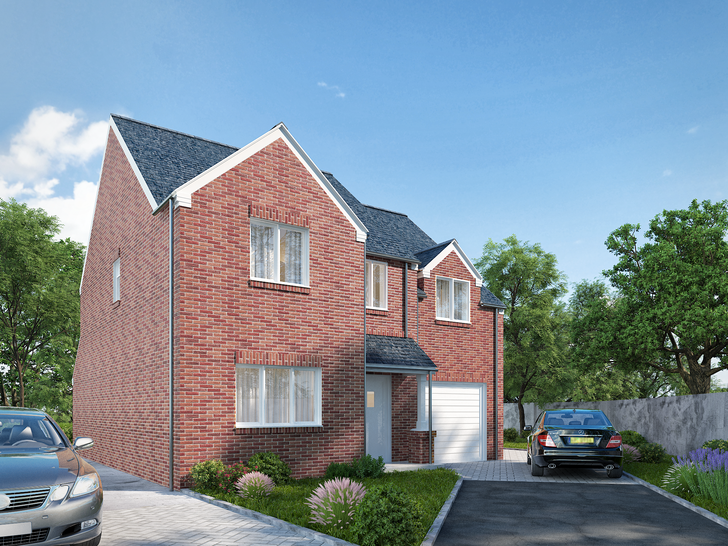 RF&O are delighted to offer for sale this spacious semi-detached 3 bedroom New Build home. Ideal for families and individuals that are looking for a bespoke Architect-designed home with luxury features. Large business premises spit into four smaller business units which are part let and part vacant. An opportunity to acquire a business centre consisting of four individual offices/industrial premises, part let and part vacant. Cromford House Business Centre fronts Amber Drive and has the benefit of up to 7 secure car parking spaces. A newly refurbished but vacant first floor office, Cromford Mews, benefits from 43m2 (470sq ft) of accommodation with separate kitchen facilities and ladies and gents WC's. The second vacant unit is part refurbished therefore in need of completion. It provides 11.2m2 (120 sq ft) of accommodation and has provision for a WC. The Bailey Brook Business Park is situated off Amber Drive in the Nottinghamshire town of Langley Mill, close to the Derbyshire border. The location affords easy access to the A610 which, in turn, provides fast and convenient access to Junction 26 of the M1 Motorway. Made up of 47m2 (506sq ft) warehouse and 3 separate offices with a GIA of 33.6m2 (361 sq ft) Let on a 1 year rolling lease from March 2018 for £10,200 p.a. There are separate ladies and gent's WC's and kitchen facilities available. 42.1m2(453sq ft) factory/industrial space Let on a 1 Year rolling lease from June 2018 for £4800 p.a. 43m2 (470sq ft) First floor vacant office space with ladies and gent's WC's and separate kitchen facilities. 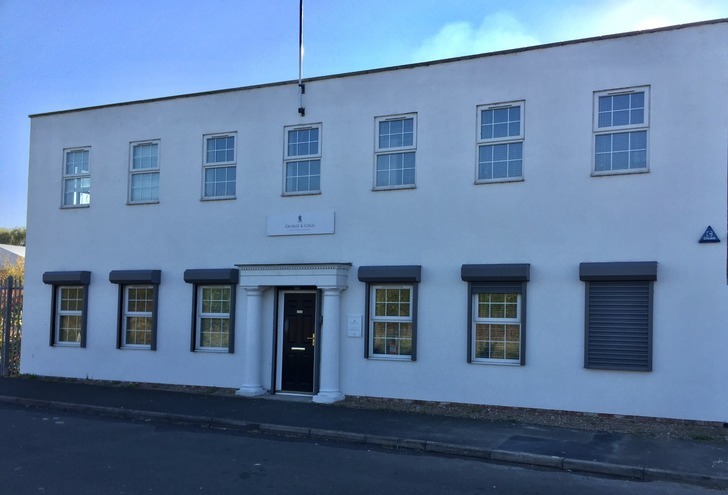 11.2m2 (121sq ft) Part refurbished office space.